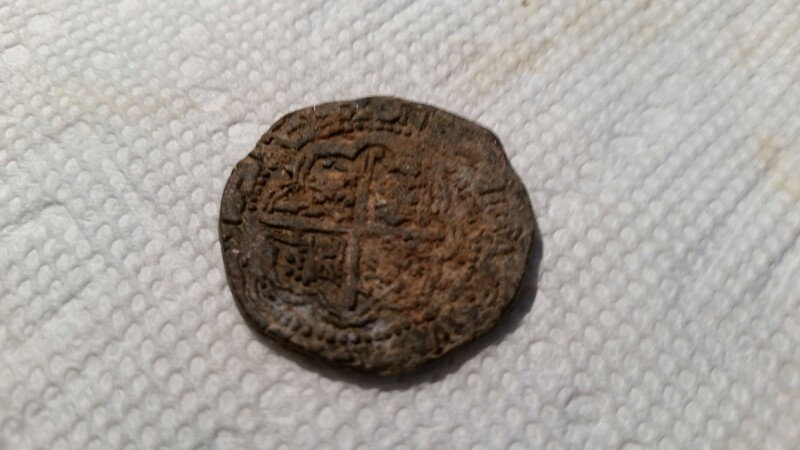 While vacationing in the Matagorta Bay area of the Texas coast in our RV I decided to go metal detecting. Having searched the locale beaches and parks, I decided to do something different. 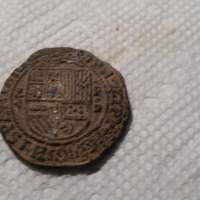 I was told by locals that due to the many coastal storms and destruction that one may find relics anywhere, also it was near where the Spanish wreck La Belle was found. Packing up my trusty Garrett AT Pro and snake boots off I went to an area slightly back from the coast. After an hour or so without a hit I was getting discouraged when suddenly I got a hit in the 80's about 7" down. 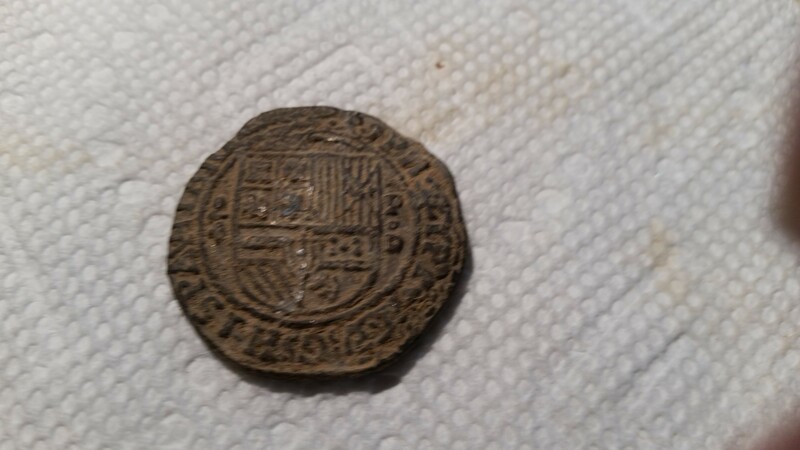 I carefully dug expecting a quarter but it was something I didn't recognize. 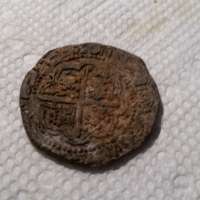 After returning to the RV and cleaning and researching I discovered it to be a Spanish Cob Reale minted between the late 1500's to the mid 1600's. A befitting present for my 84th birthday.